Our baby had been born that morning. He was intubated and in the NICU, but seemed to be doing okay. And he was big! 5 pounds, 12 ounces at 34 weeks. His birth mom was doing well and wanted to talk with us as soon as possible. Jon had to go to work, so it was all me when she called and I’m sure I was a complete mess, unable to put two coherent sentences together, but we connected immediately. There are people in this world that you feel like you’ve known your whole life after talking with them for just a few minutes. That was our birth mom. It was an immediate connection and one that God used to set my mind at peace throughout the next several weeks. We talked about how she was doing physically and emotionally, we cried together, we talked about where she’s been the past several months and where she’s at now. We talked about Ezekiel. She kept saying “Ezekiel” and I was finally like “what? !” She had named her baby Ezekiel after the prophet in the Bible when she first learned she was pregnant. I had to ask her to repeat herself when she said that. Of all the names she could have chosen, it was one of the three we had agreed upon. And Ezekiel it would remain. We flew down to Charlotte to meet her and Zeke the following day. We met in the hospital waiting room. I remember feeling so much sympathy and love for her right from the start. Thinking what it must be like to be her. Standing there meeting people who are going to take your baby away. Would they love him like you do? Would they hold him and soothe him right? Would they tell him about you and how much you love him? Would his sisters be loved more or would it be the same? Would you ever see him again? All these impossible questions to answer, but somehow I felt like they were all being asked in the smiles and stares and small talk during those first few minutes of knowing her. In many ways, I wanted to adopt her too. We met Ezekiel next. Against hospital rules, the three of us were allowed to go into the NICU at the same time. I didn’t know what to expect, but there he was. Perfect. He was wrapped up, laying in his bassinet. No tubes, except his NG tube for eating and a heart monitor attached to his little toe. And he was beautiful. From that day on, one of us was with him all day, leaving to sleep at night and back again to hold him, try to feed him, change him, do all the right things to bond with him, to try to make up for the first 7.5 months we did not know him, to lessen the effects of trauma, to make sure he didn’t end up with attachment issues or God forbid reactive attachment disorder at a later date. See, we were educated on many of the things that could go wrong for kids who are adopted. We were told about drug use and what that could mean. We were told about kids who are premature and have some sensory issues and need some therapy later on. We were told about kids who were adopted after spending time in orphanages who had some serious attachment problems. We were told some things, but remained uneducated about the most important things and subsequently, we were absolutely clueless when it came to what we were about to endure in our own home. People in the adoption world are starting to open up more about what life is really like after you bring your child home, but 5 years ago, this was still relatively uncommon. Sure there were some people at Christian adoption conferences who boldly shared their horrific stories, but no one in our circles seemed to have any problems with their adopted kids. We knew small families with a couple of adopted kids and large families with multiple kids who had been adopted. They all sat so nicely in church, never had an outburst, and seemed so well adjusted. It’s not that we were naive, we actually asked a few adoptive parents about the realities in their homes, but we later discovered that the struggles just weren’t shared. The realities of life were kept within families. The child’s story was the child’s to tell. The trouble is, prenatal trauma (and it’s after effects) are not just the child’s story; it’s the family’s story, and we were about to find out it would be our story. Zeke spent 19 days in the NICU. He could have gotten out a bit sooner, but had some bradycardia problems and didn’t want to eat. He was the second child I had to strip naked to take a bottle so he wouldn’t drift into a milk coma half way through. 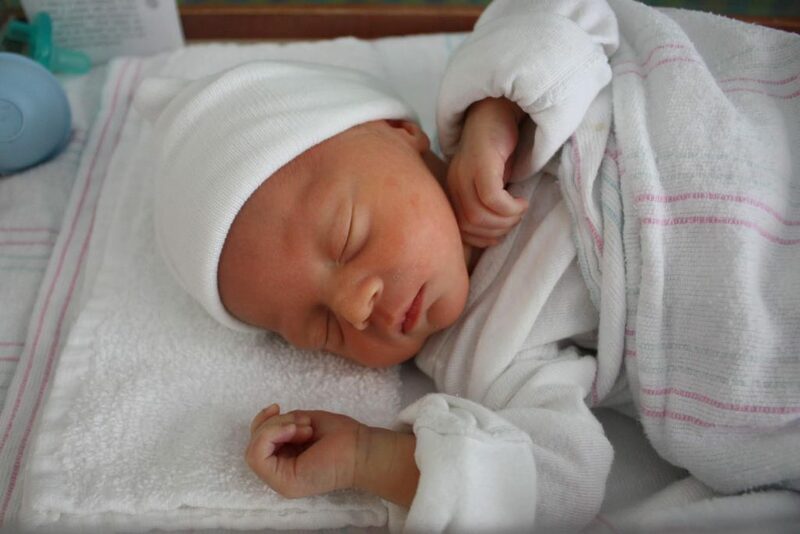 His nurses even refused to believe he was biracial because he acted like all the other lazy little white babies they cared for, which was telling for what was to come. There were some health concerns during those first few weeks, including the risk of HIV, but it was overall a time of relative calm. We had a baby that slept all the time, took his medicine, and ate when we made him eat. It seemed like any effects of prenatal drug and alcohol exposure were divinely avoided. His first HIV test came back negative, so we were hopeful in that regard too. We spent our days holding him, juggling our girls, and getting to know our son’s birth mom. She came to the hospital every day to spend time alone with Zeke and we encouraged her to have as much time as she needed. We knew she was extremely emotionally fragile, and we wanted to love her as much as we could in the time we were there. Honestly, she was easy to love. We learned much about her life story during those first several days as well. I cannot share the heartbreaking events of her life here, but I can tell you that she has gone through more physical abuse and emotional pain than anyone I have ever met. She has endured pure evil and yet, she has the sweetest spirit of anyone I know. She hit rock bottom for the last time while pregnant with Zeke and Jesus changed her heart. God used this tiny baby to get her clean and spared her life as a result. She considered abortion, but chose to spare his life too. She had a week to change her mind about the adoption, but never did. Instead, she chose us to raise this child – the one the Lord used to change her life forever – and bravely walked away. Knowing what she must be going through broke my heart and the joy of adopting this sweet little baby was always coupled with the sadness of her pain. Beautifully written! I am in tears. Loved this so much Brenda, I can’t wait to read more! Incredible emotional journey!